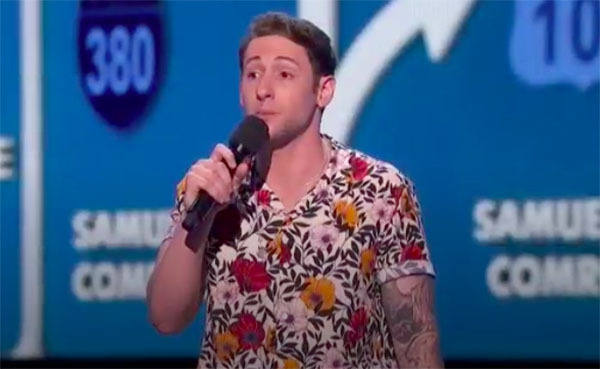 Comedian Samuel Comroe drew laughs on America’s Got Talent 2018 Season 13 Live Quarterfinals, Tuesday, August 21, 2018. “Well done,” said Howie. Watch his performance on the video below. Here’s how to vote for Samuel Comroe. What can you say about Samuel Comroe’s performance? Share your thoughts below.